For portability and speed, Fundy Designer creates lower resolution proxy versions of your high resolution source images when importing into the project file. These are viewed in the Thumbnail Window by clicking the Images icon. This will open and close the thumbnail window. 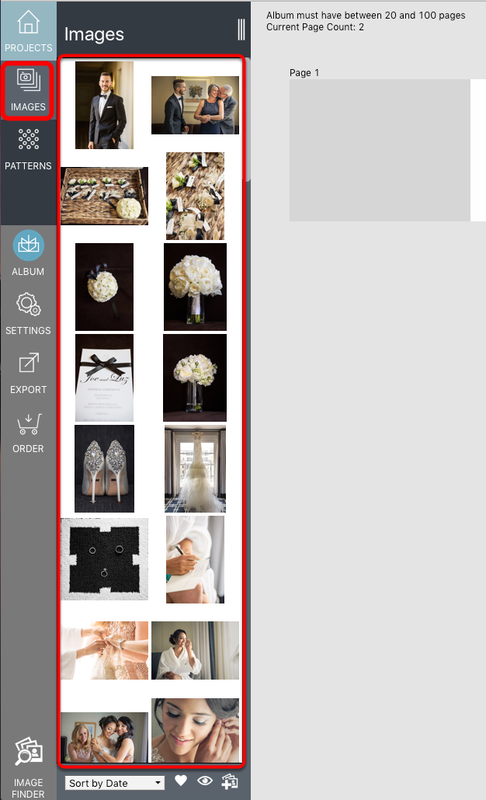 The Thumbnail Window displays all of the Images for the Project. From the bottom of the Thumbnail Window, you can choose to Sort by Date or Sort by Name. You can use the Toggle Thumbnail Style icon to either view the thumbnails as squares, or in their original vertical/horizontal aspect ratio. You can also add more images to the project. Edit Image - Allows you to open the image in an external editor. 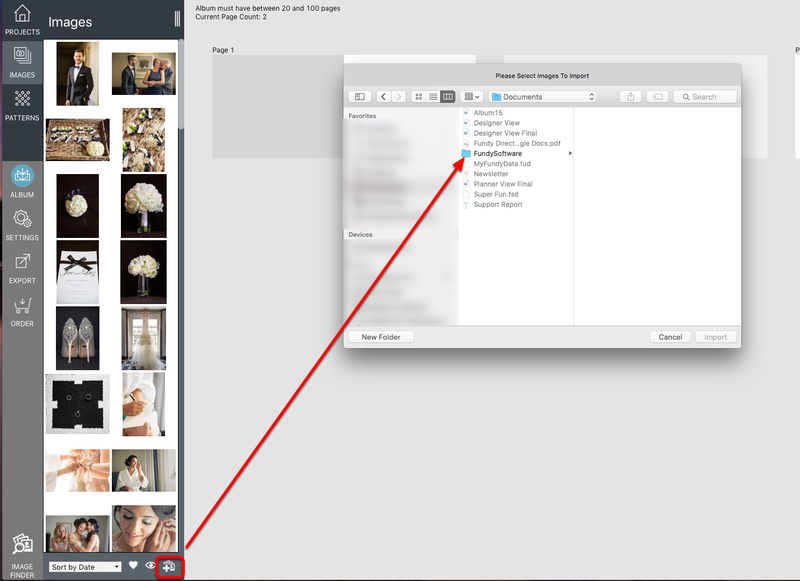 Click here for more information on opening an image in an external editor. Update Image - Will check for changes to an image if Fundy Designer does not automatically apply the change. This is especially useful when editing in an external editor. 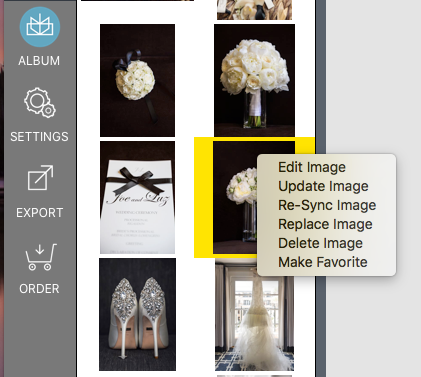 Re-Sync Image - Allows you to re-sync the path to the image in the case that it has moved. Replace Image - This allows you to replace the image with another from your machine. Delete Image - Deletes the image from your Project, but only if it has not been used in this Project. Make Favorite - Make this image one of the favorites. This will mark the image with a heart icon. 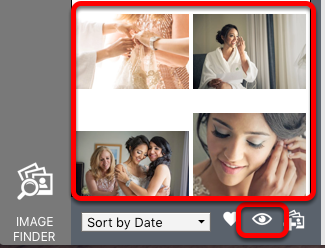 All of the above options are also available when selecting multiple images in the Thumbnail Window, with the exception of Replace Image. That action must be performed on individual images.